07 November 1943: Keel laid at the Bethlehem-Hingham Shipyard, Inc., Hingham, Mass. 80k Undated Wartime Image: Leslie L. B. Knox at sea. 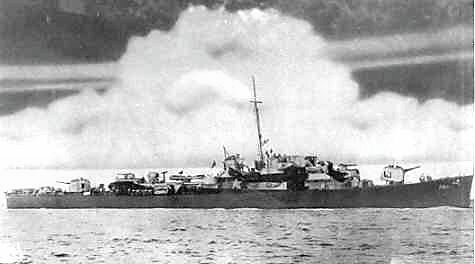 The ship is painted in measure MS22 camouflage color scheme. 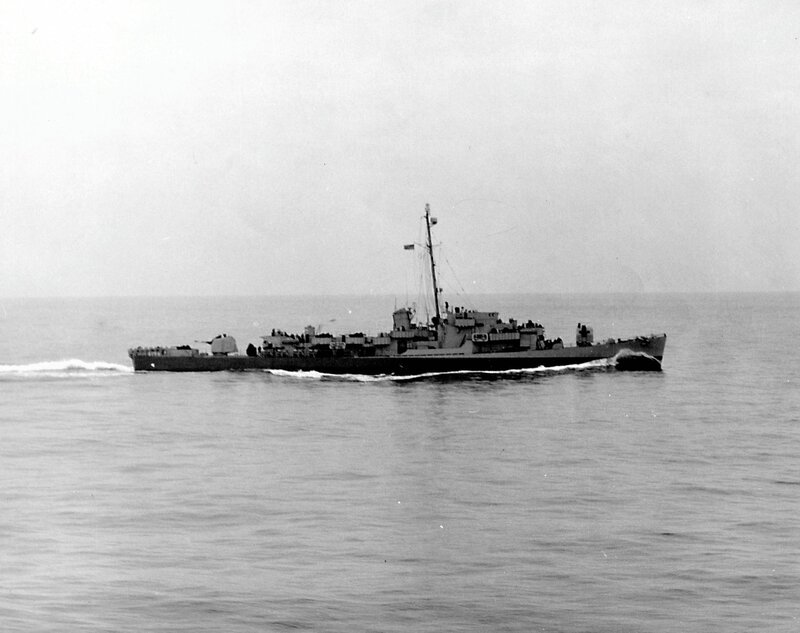 299k Undated Wartime Image, date/location unknown: A view of Leslie L. B. Knox at speed. Note Mount 51 is trained on the photographer's platform. View the USS Leslie L. B. Knox (DE 580) DANFS history entry located on the Naval History and Heritage Command web site.